Where can I get the guide if I've already set out? The Stopover Guide is available from members of the MASTERS France network: www.masters-france.com visit the "Reseau" section to find your nearest dealer. We do appreciate that you are eager to receive your new France Passion Stopover Guide rapidly! We’d like you to know that we are doing our utmost to make sure you get your Guide as early as possible. After printing, our Guides are transferred to our routing partner, a process which takes several days. Before the Guide arrives at your door a number of fixed delay operations must take place: printing of the guest cards, insertion into the Guide, packaging, transfer to the Post Office, sorting and expedition, and finally delivery to your letterbox. Each step takes from one to several days… deliveries are phased over several weeks starting from the beginning of March. Same day postage for all orders placed before midday. Warning, delivery takes longer for Spain, Italy and Portugal. Delivery times depend on the efficiency of the local postal service, thank you for your understanding and patience! Are stopover sites open all year? The vast majority of our sites all over France are open year round. Please note, however, that certain hosts ask that you arrive only at certain times of day, in accordance with their personal or professional constraints (milking the cows, work in the fields, taking children to school,…). For the same reasons a number of sites are closed at certain periods of the year (grape-picking, harvest, etc.). Can caravans use the France Passion network ? Only self-sufficient motor homes (WC, waste, electricity…) can use the host network. It would be impossible for the farms and vineyards participating in the network to accommodate the enormous numbers of caravans circulating in Europe, and a number of access routes may also be impassable for caravans. Are there similar schemes in other countries ? 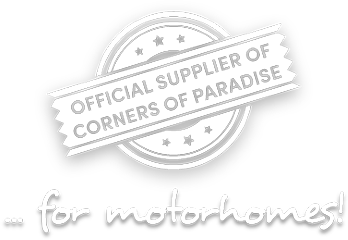 For other countries you can contact the national motorhome federations. Can I get GPS coordinates for the stopovers? In your 2014 Stopover Guide : GPS coordinates for all stopovers! GPS coordinates are now published in the Guide, and replace the system of downloadable Points of Interest that was available with the 2013 edition. Use “where to”, “navigate to” or “search” coordinates (Latitude – Longitude) to enter coordinates into GPS. Make sure GPS is set to decimal degrees (DD.ddddd°). Most units will offer this option when you enter coordinates. If not, the format can be selected in your unit’s settings. Depending on your GPS model, you may be required to enter the sign “+” in place of “N” and “E” (positive latitude and longitude), and the sign “-“ in place of “W” (negative longitude). GPS coordinates remain an optional complement to the written directions provided for each stopover in the France Passion Guide. Please consult your GPS manual, and never blindly follow your GPS. Are dogs allowed on France Passion sites ? In most cases, yes. The few properties who do not accept dogs are all indicated in the Guide. This may be because the host has young children, or because there are working or guard dogs roaming freely around the property. As a precaution, it is advisable to check with the hosts before letting your dog out. Is it obligatory to buy the host's produce? There is no obligation to buy: your status as a private and non paying guest means you owe nothing to your host. It is obviously not forbidden to buy either! Especially in view of the quality, authenticity and originality of the products offered by the network's farmers and winegrowers. Note that we regularly remind our hosts that the size of your baggage compartment and fridge is limited, and that guests can only buy a limited quantity of a given regional speciality. Bear in mind that even if you don't like goat's cheese, there is nothing to stop you staying on a goat farm, or saying hello to the farmer when he passes by! Finally, products can always be purchased later by mail order from home, but once again, there is no obligation ! How can I refer a friend or gift them a Stopover Guide ? - Or use the “sponsor form” which can be found at the end of the guide, or which came with your guest card and sticker. - Or on any membership form sent by post or email to France Passion. Whichever method is used, remember to include your guest card number and your name and address so that we can attribute the referrals to you. Through you they can now enjoy authentic and friendly stopovers as members of the “France Passion Club”! 3 referrals or Guides gifted to your friends = your next Guide free! Refer 3 non-member friends, and we’ll thank you for recommending us by sending you your next Guide absolutely free. Only referrals declared when a new membership is taken out can be accepted. We’ll let you know by letter at the end of the year if you have qualified for a free guide. Every year over 200 of you receive free guides as a recompense for your loyalty. Should stopover sites be booked ahead by telephone ? Stopover sites cannot be booked, except for a few exceptions specified in the guide. Most hosts choose to publish their telephone number so you can call if you need help finding them, or if you need to contact them after having left (if you’ve forgotten something, or to ask for advice, or to mail order, or just to say thank you). Please remember that farmers and winegrowers work hard, and have been hit hard by the economic crisis. It is their pleasure to offer you a quiet and peaceful spot to stay, asking nothing in exchange. They work long hours year round, often in the evenings and on Sundays. They are not tourism professionals, and don’t expect to have to manage bookings. Especially as some have nothing to sell, and will only offer a smile! They deserve great respect… that is the France Passion philosophy ! Can I use last years guide, or give it to a friend ? Each France Passion membership helps us maintain and extend the network we have been building stone by stone for more than 25 years. As editors of the guide, most of our income is generated through the sale of the guide. Your membership pays for us to find and select new hosts, to edit, print and market the Stopover Guide, and to offer you safe stopovers, which are checked every year. All of our hosts commit to welcoming motorhomes for one year. The current Guide is the only one that can provide their latest information and instructions (closing days, arrival time limit…) which are updated every year. Playing by the rules also protects hosts who have left the network and no longer appear in the guide. They may have retired, stopped their activity, have personal reasons, or simply no longer want to host motorhomes… Thank you for respecting their wishes. What do the coloured dots on the map of France signify? Each dot indicates a commune where at least one France Passion host is present. Different colours simply help to distinguish between departments. What is the difference between the French and multilingual editions of the guide ? Both editions include all the same stopover sites, but in the multilingual edition directions to the properties are given in French, English and German. The general guidelines are presented in French, English, German, Spanish, Dutch and Italian. How to login to my members area? First time members or within a Members Area account: you can create your Members Area account from the 1st March using the guest card number and activation code printed on the current year’s Guest Card. Already members with a Members Area who have renewed: Access to all features for stopovers will be renewed automatically. If you bought your Guide from a reseller or dealer, please create an account using the ID details on the back of your guest card. NB: You do not have to login to the Members Area to order the France Passion Stopover Guide. Click here to order the Guide. Prepare you trips in the Members Area! Stopover search, route planning - prepare you trips in the Members Area! The France Passion site is a digital extension to the Stopover Guide, offering even more information! At home or on the road, with a computer, a tablet or a smartphone, the website is designed to make your trip easier. - Site details: photos, location, GPS coordinates, closing days etc. The France Passion team is at your side, making your trips to France simpler and more rewarding!